As an ESL co-teacher, it probably comes as no surprise that I'm all about visuals to accompany written words. Therefore, we did this activity fairly early in our study of analogies. Once students were first introduced to analogies through a PowerPoint, this was the second activity that we did. Sticky notes make everything more fun, right? Another favorite activity began when I wrote the beginning of six analogies on sheets of brightly-colored paper. One by one I showed students the analogy starters, and I asked them to help me determine which type of analogy was started (synonym, antonym, part to whole, etc). Using magnets, I hung the sheets across the board at the front of the room. 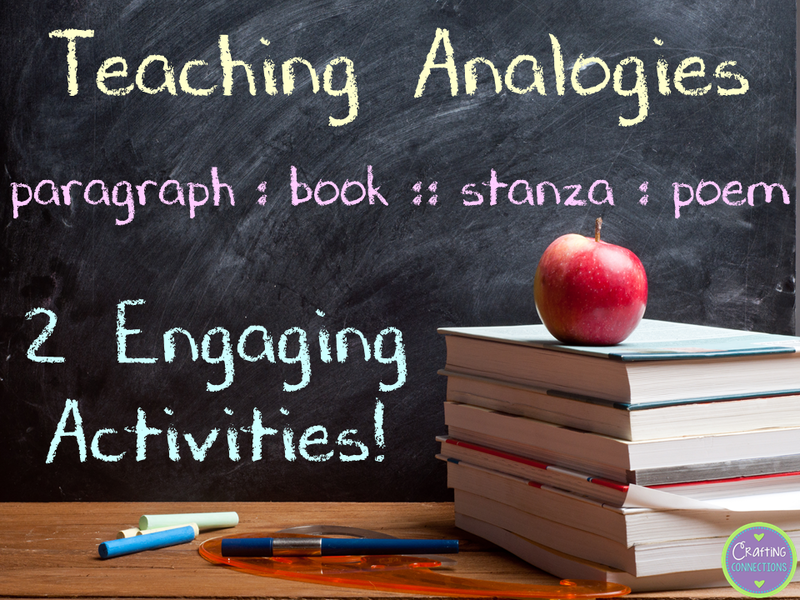 Do you have any fun analogy activities that you and your students enjoy doing? Please share them! 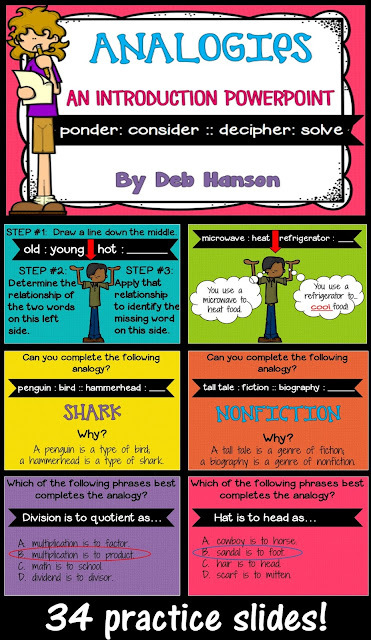 Also, check out my analogies anchor chart by clicking HERE. Finally, feel free to take a look at my Analogies PowerPoint. I've used the picture activity and it worked great. 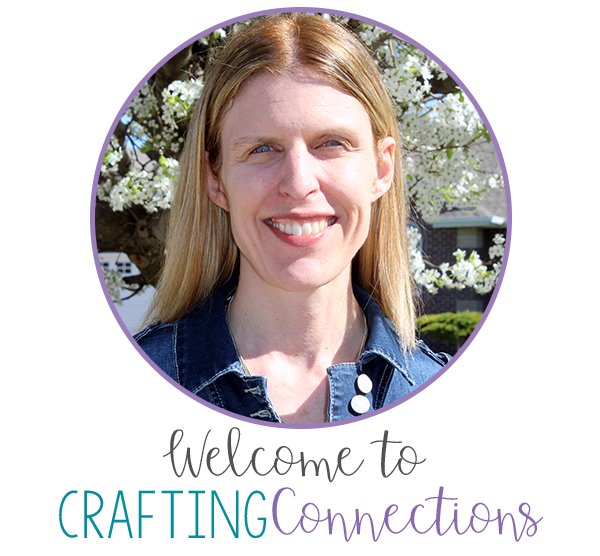 The second activity is new to me and it looks like a fun one!